I think the film transport track on my 35mm scanning system may actually work better than their system, because I don’t have to load a film holder before inserting it. I did see in a video that one of their 35mm film holders lets you slide film through it, but it looks like the negs would rub on the plastic as you slide it, potentially scratching the film. I’m curious whether they actually sell many of these units. Just a few more snow photos from the second roll of film shot that same day. Rolleicord III, Acros 100, self-developed, camera-scanned. I recently posted photos that I had shot on black and white 120 film, home processed, and ‘scanned’ using my Fuji X-T1 camera and an old Nikkor macro lens. I’ll detail a little bit of the process below, because I think this holds great promise of being a quick and easy way to get some really nice quality scans. Below is a screen shot of a detail area from the photo above, to give you some idea of the quality and resolution. When cropped square, these images are about 3100 x 3100 pixels. The X-T1 has about a 16MP sensor in it, and the full image size is 3264 x 4896 pixels. I didn’t completely fill the frame with the negative, so I’m cropping in a bit (plus cropping square of course in this case, since they’re 6×6 negs). 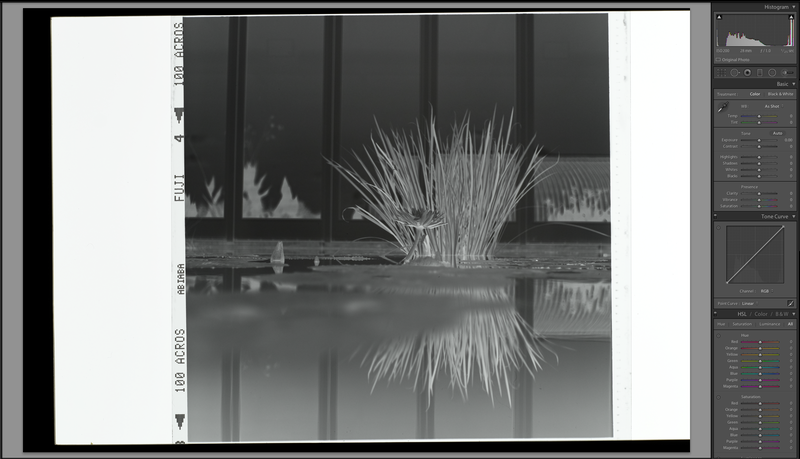 I could make higher-resolution images of 120 film by getting closer to the neg and moving it around to capture several images, then auto-stitching them in Photoshop. I’ve seen examples of this online that are stunning. But for quick scans, these 9+MP images are pretty great. So, how was this done? First I bought a small light box to act as a backlight-source. I got a Logan 4″ x 5″ Slim Edge Light Pad, but I’m sure any would work fine. I had read that this model has a nice consistent brightness and color. And I wanted one for some other uses, anyway. It seemed a shame to tear apart such a nice enlarger, but I found that it could easily be dismantled in a way that it could be put back together if I want to return it to it’s intended use. 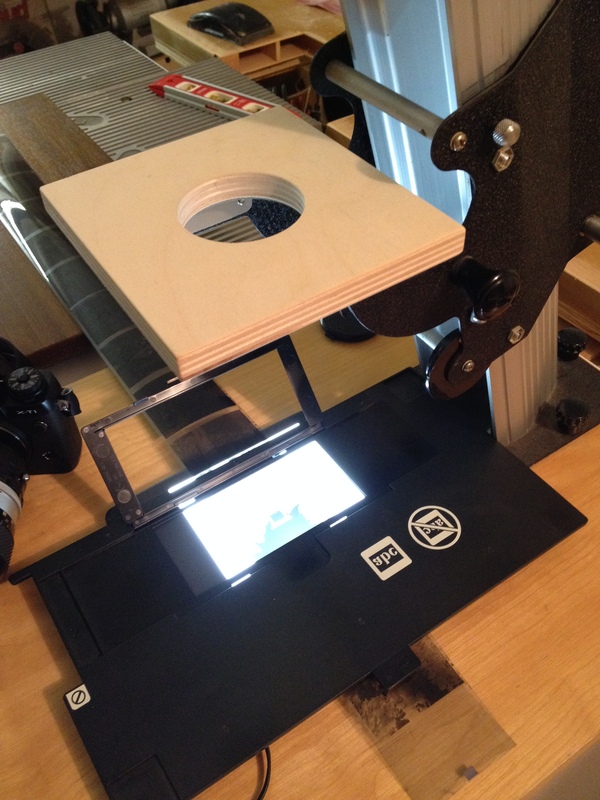 I added a small platform of plywood, with a hole cut at the perfect size to hold the end of my Nikkor macro lens. This certainly wouldn’t work with all lenses, but the way this lens is built (and since the Fuji X-T1 is a very light camera), it works perfectly. 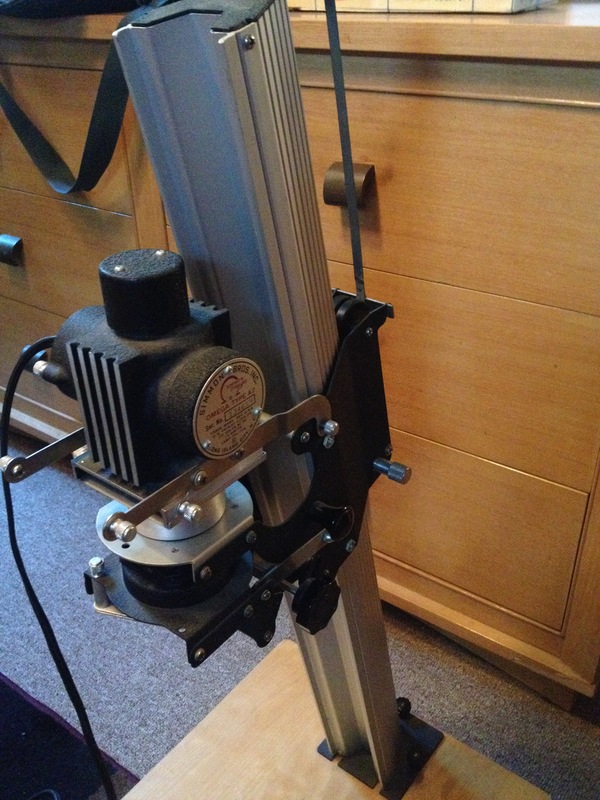 I used a level to carefully align the platform to be near-perfectly level with the base of the enlarger (fortunately, the enlarger had adjustment screws on the base that normally holds the neg-carrier, to make this adjustment easy). The room lights were shut off before shooting the actual photos, to eliminate any reflections off the film. I tested the camera and lens combo by shooting several images of a couple negs from f/3.5 to f/22, and found that I got the sharpest images at f/3.5 to f/8. Surprisingly, this lens actually seems slightly sharper wide open at f3.5 than stopped down a stop or two. But to get a little bit of depth of field to help ensure the whole neg was in focus, even if it wasn’t completely flat, I shot them at f/8. 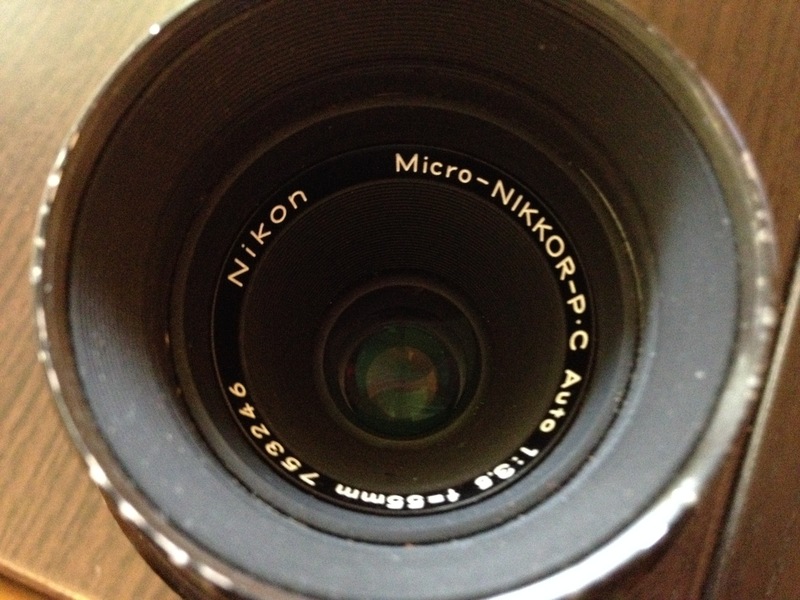 It’s a Nikon Micro-Nikkor 55mm f/3.5 – a great macro lens with extremely little distortion. In these images of square negatives, there was absolutely no bowing of the edges of the images. When cropped square to the image, the edges were perfectly straight. 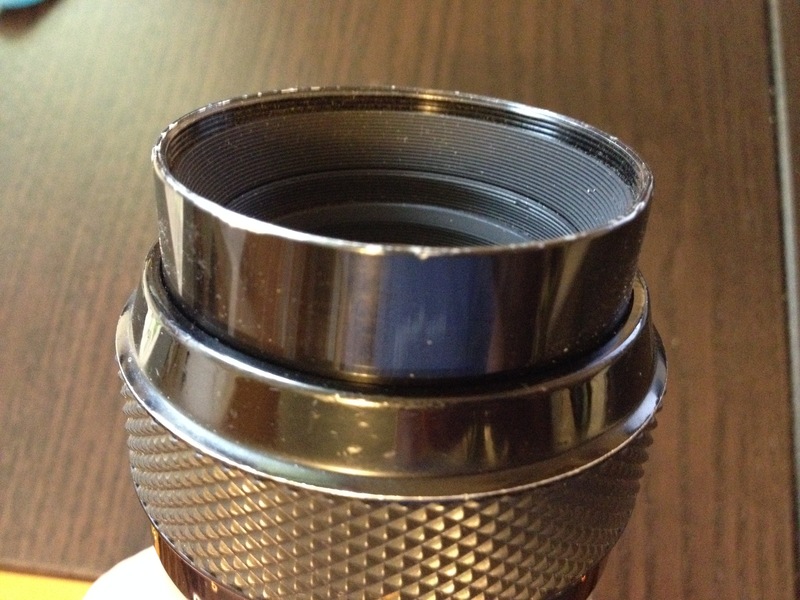 I’m lucky that I just happened to have this lens already, so I only needed a cheap adapter to put it on the Fuji X-T1. The camera was set to electronic shutter so there’d be no camera movement from the shutter, and set to ISO 200, auto shutter speed, and with a 2-second self-timer to eliminate camera shake from pressing the shutter button. Next time I’ll set the shutter speed manually so that all of the exposures on a roll are consistent, as that will make later Lightroom adjustments easier to apply through the whole roll. Process updated: See NOTE at end of this post. 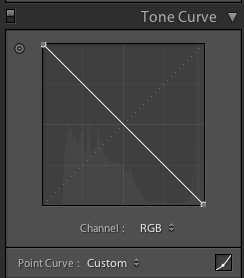 In Lightroom there’s no easy way to invert the negs into positives (they should really add a simple checkbox in the tone curve panel to invert the image). 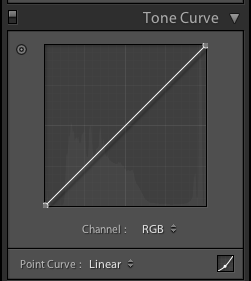 You have to grab each end of the tone curve and pull the bottom end up to the top, and the top end down to the bottom to invert the image (if you can’t get this to work, click the button in the bottom-right of the Tone Curve box — this change it to a ‘point curve’ and you can move the very ends of the line). Simple enough, but now all of your exposure sliders in Lightroom are reversed. 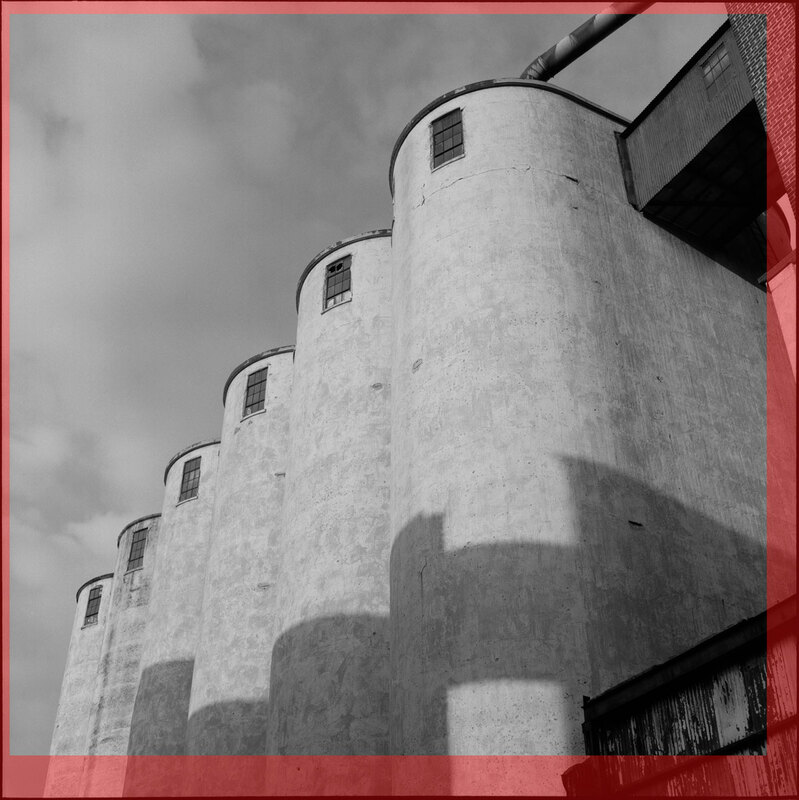 Increasing the Exposure slider darkens the image; decreasing the Blacks slider actually increases the Whites. It’s a bit confusing. I did this in Lightroom because I wanted to work with the camera RAW image, thinking that would give me the best quality. But after some experimenting I’ve decided that the JPG images are just as good, so it’s easy to simply invert the images in Photoshop, then make all the normal adjustments in Lightroom. Next time I do this, I’ll quickly invert all the images in Photoshop before importing them into Lightroom. Process updated: See NOTE at end of post. 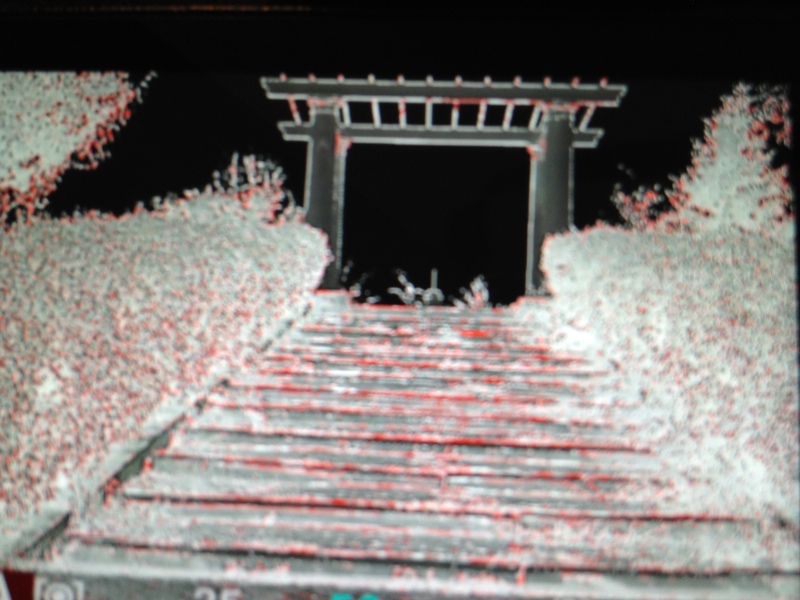 And here is an overlay showing the scan that the lab did on top of my scan (tinted red). The red edges are the parts of the image that were cropped out of the lab scan. That’s a pretty big difference. I’m looking forward to developing more film and experimenting more with this. Next step: build a neg carrier to slide the 120 film through. After that: Build a rig to slide 35mm negs through for the same kind of setup. 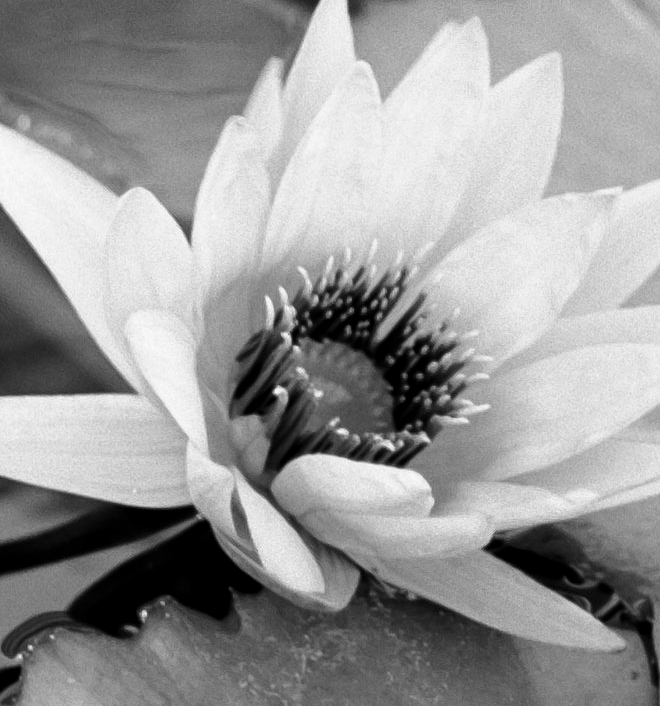 1) I’m setting my camera to record a B&W JPG instead of color to simplify it a little. 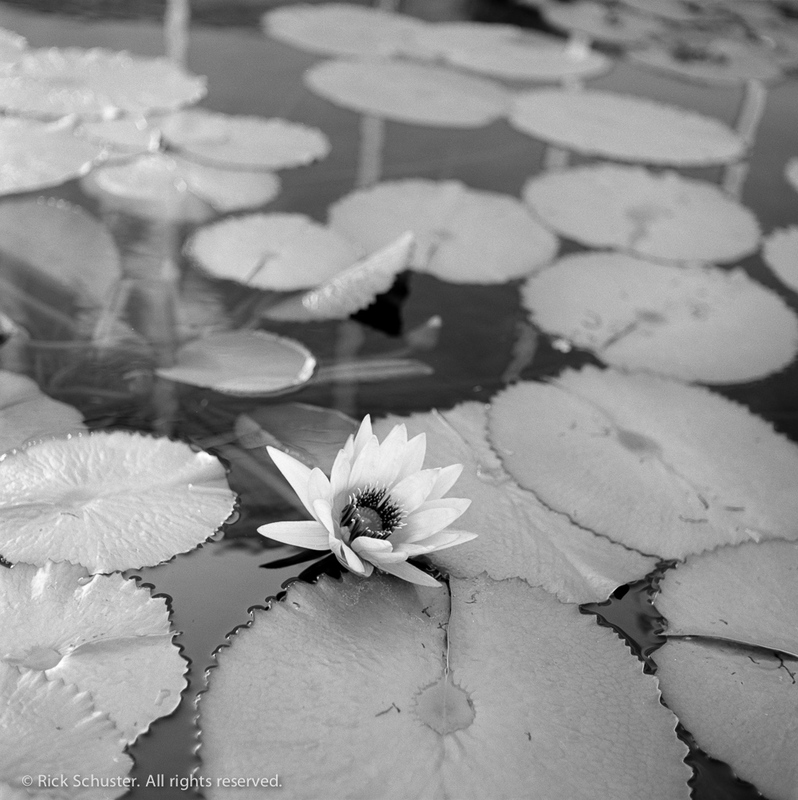 I did some testing of B&W vs Color and JPG vs RAW, and found virtually no difference. The dynamic range is very low, so there’s no need to shoot raw. Note on dynamic range: I’ve seen some online posts about camera-scanning, and people are concerned about the digital camera’s ability to capture the full dynamic range of the film. Here’s my take: Relax, it’s not an issue at all. The dynamic range of the scene was already captured and compressed in the film. When “scanning” the neg, the dynamic range you’re capturing is only the difference between the blackest part of the film and the brightness of your light pad. Unless your light pad is as bright as the sun, you’re not talking about much dynamic range here. I don’t get any clipping of highlights or shadows. 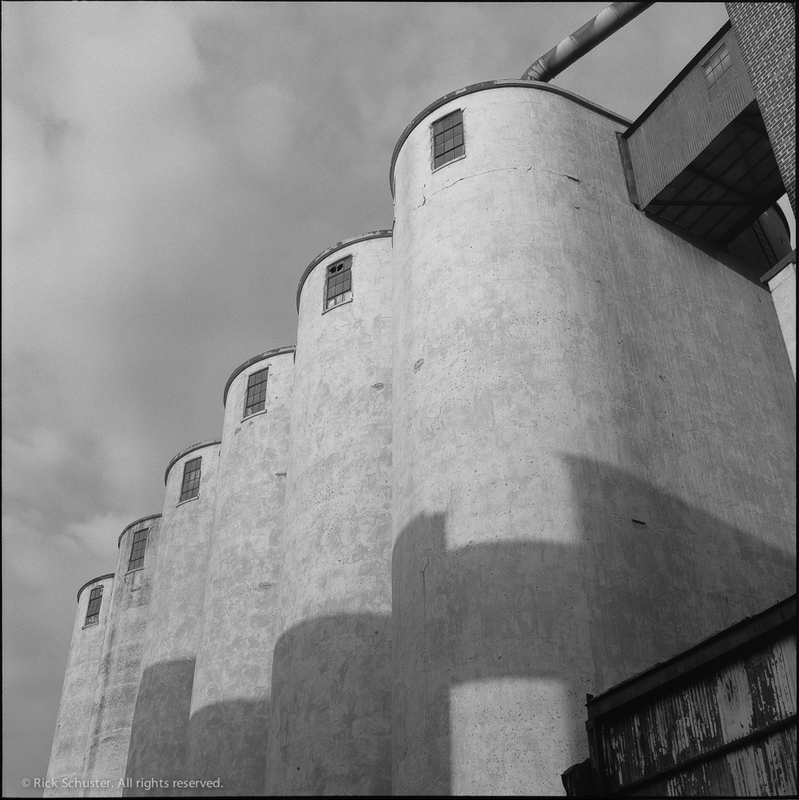 2) Before importing into Lightroom I do a quick inversion in Photoshop to turn the negs into positives. I created a Photoshop action ‘droplet‘, so all I have to do is drag a folder full of images onto the ‘droplet’ on my Mac, and they will all be opened in Photoshop, inverted and re-saved. It all works automatically and just takes a few seconds. Then when they’re imported into Lightroom I don’t have to mess with inverting the tone curve. 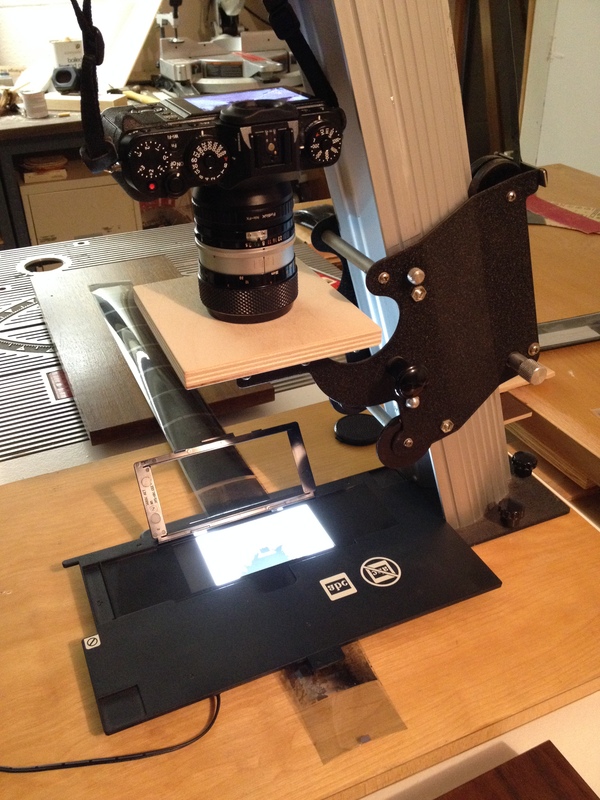 Update: I’ve now built a nice rig for 35mm neg scans, too.